There’s something incredibly satisfying about rising early each morning, consulting your map and walking into the unknown. I guess it’s like life; we have plans, like destinations, but ultimately we’re unsure what will happen along the way. Sometimes we veer off our chosen path and find ourselves lost, or we discover the path is more beautiful than the one we’d set out for ourselves. At the end of the day, we arrive at our destination, often exhausted, battered and bruised, only to discover our minds are filled with beautiful memories from our journey. 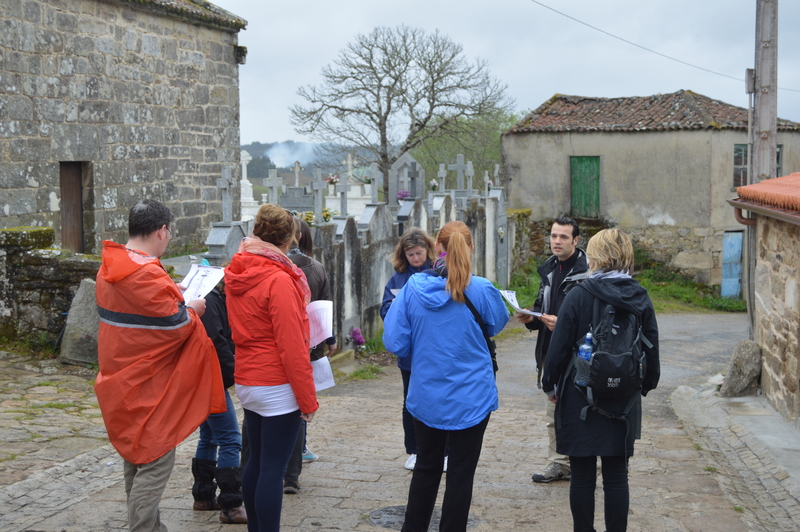 For centuries, people have walked the Camino de Santiago, a series of ancient pilgrim routes starting in different parts of Europe, converging at the tomb of St. James in the Cathedral of Santiago de Compostela. 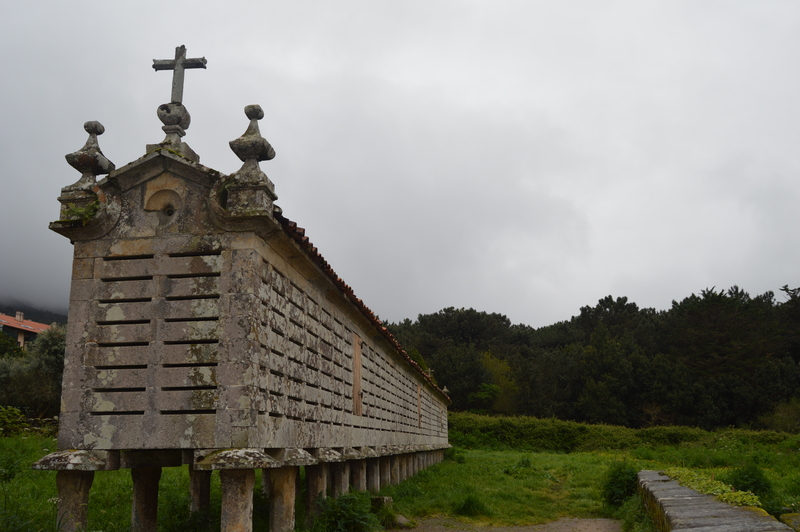 Legend tells of a peasant discovering the apostle James’ tomb in 814 and once King Alfonso II ordered the construction of a small church, word spread and pilgrims walked from all over Europe to pray at the resting place of the apostle. Thus began the Camino de Santiago (The Way of St. James) and the rise of what soon became the Holy City of Santiago de Compostela. It is estimated that some 250,000 pilgrims walked the route each year during the 12th and 13th century. Today, the most popular route is The French Way, officially starting from St. Jean Pied-du-Port crossing the Pyrennees, through the vineyards, medieval towns and villages of La Rioja and some of Spain’s most beautiful countryside ending at Santiago de Compostela. However, to do this route you need at least a month and not everyone has the luxury of taking a months holiday, which would explain why the last 100kms of this route has become very popular. 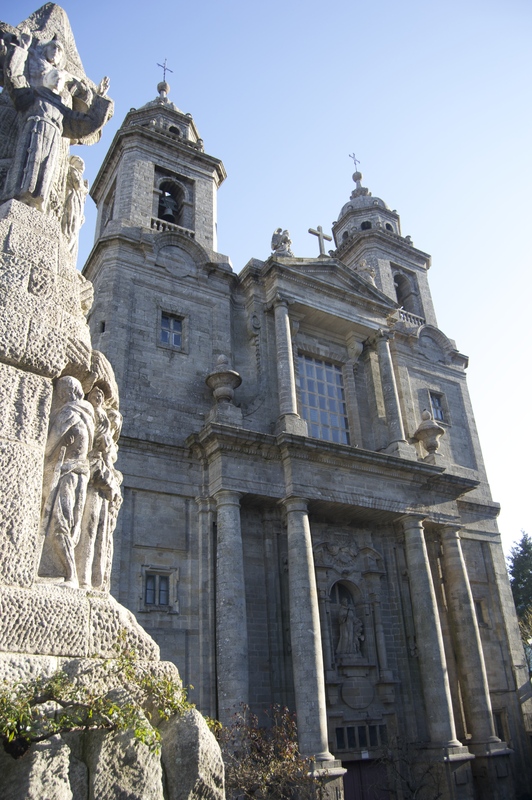 Starting off in Sarria the route takes you through the rolling hills of Galicia. I’ve always wanted to do the Camino, not for religious reasons, but I’ve met so many people who have done it and returned, unable to explain why it had been the most wonderful holiday of their lives. They had blisters and limps, but smiles that lit up their eyes. In April, I was lucky enough to do a small part of the route. 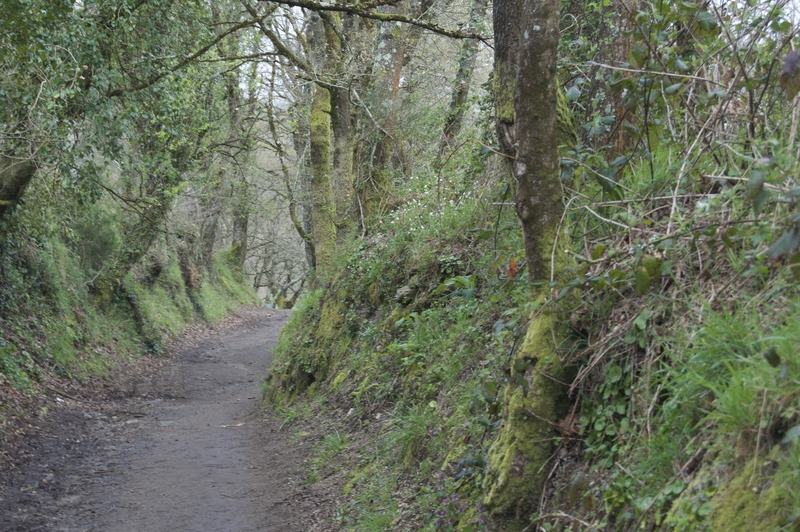 We set off as a group from an idyllic hamlet, along treelined country paths. At first we walked together, like a gaggle of excited geese, but slowly we broke away from one another, some choosing to walk alone, others with a partner. Either way, we settled into our own pace, alone with our thoughts or sharing our life stories. We passed other pilgrims, who smiled warmly. We listened to the birds and admired the silent beauty of the countryside. We were oblivious to the light rain that fell, happy with our thoughts and conversations. We stopped in a pretty agriturismo, Casa De Los Somoza, run by a cheerful couple who fed us delicious, homemade soup and steaming bowls of meatballs, followed by a rich crème brûlée and sweet coffee. It was the best meal I’d had for days, despite dining in some of Santiago’s best restaurants, but having glimpsed the wonder of the Camino de Santiago, the earthy, homely food and smiling faces of the owners, warmed me from the inside out. This was why people did the Camino. You leave behind what you think you really need and along the way you realise you don’t need all the frills. It reminds you what is important in life; loving companionship, kindness and a warm, loving home. All paths lead to the Holy City of Santiago de Compostela, specifically, the Cathedral, which dominates the skyline and is the heart of the city. Pilgrims and tourists sit in the cavernous nave, silent and reverent. As the sun set across the city, we scaled the stepped granite rooftops of the cathedral, spying on those gathered in the Plaza del Obradoiro. The maze of narrow cobbled streets below, lined with ancient buildings, monasteries, chapels and homes were laid out before us like a painting. This was the best way to see the city. With over 33,000 students in the city, there is a fun and lively buzz about Santiago. Inexpensive tapas bars and atmospheric bars are brimming not only with tourists, but jovial students. 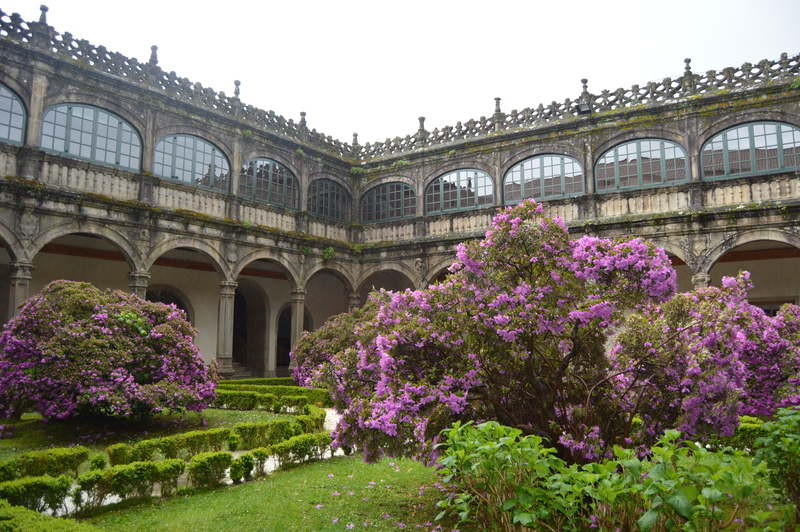 Days can be spend browsing the cities museums – Galician Contemporary Art Museum, Casa da Troia and a visit to the Colexio de Fonseca, with its pretty Renaissance cloister, gothic chapel and American library is a must. 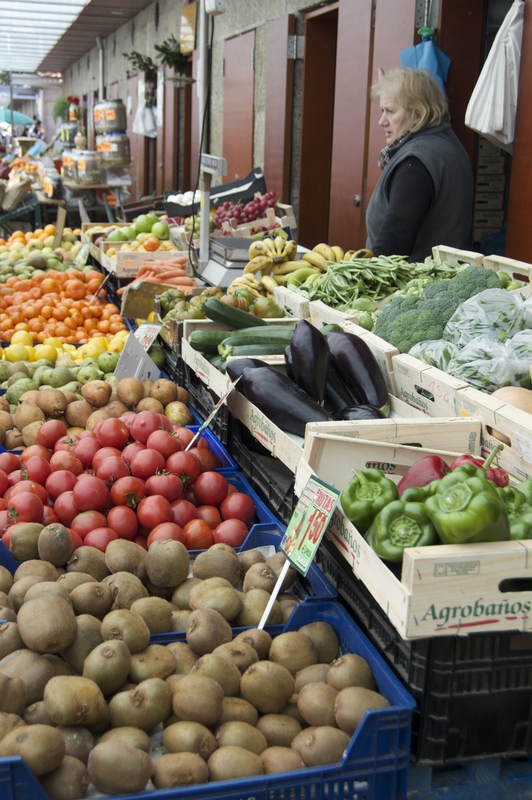 Every morning, the fresh food market is bustling with shoppers browsing colourful fruit and veg stalls and strolling through the chapel-like buildings, naves devoted to different food types – meat, fish, cheese and other treats. I stocked up on olive oil, cheese and garlic, wishing I could pack my bag with the fresh Galician fish that I’ve been feasting on during my stay. If you don’t like fish, you may find yourself a little out of place in Galicia. 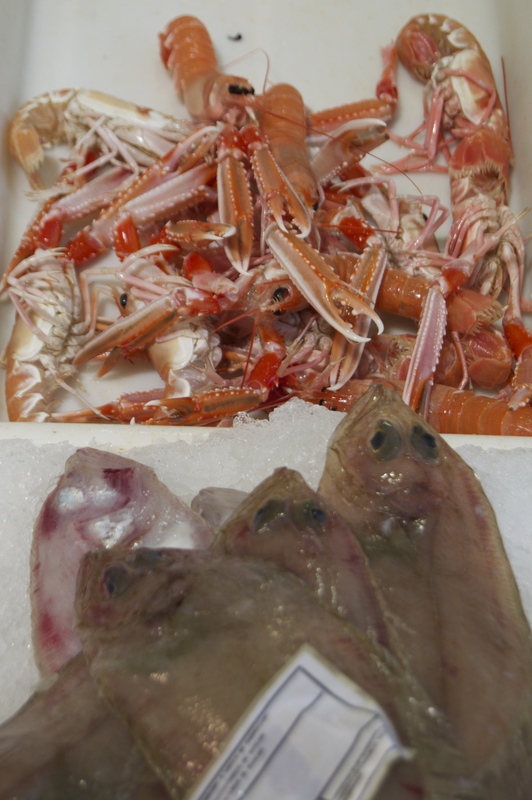 Menus are packed with different fish dishes, hake and octopus a favourite of many, as we quickly discovered. Food is so important in Galicia and time and passion is put into every dish, with most of the ingredients sourced locally. During the summer, locals and tourists escape the heat of the city to the coast, where they walk long stretches of beach and gorge on locally caught seafood. As our bus negotiated the twisting coastal road, the landscape reminded me of the west coast of Ireland – rugged and beautiful. We passed through sleepy villages, no doubt bustling during the summer months. The landscape is dotted with horreos – granaries used to store crops keeping them dry and away from rodents. They resemble tombs raised on stone or wooden legs and are often surrounded by orange and lemon trees. 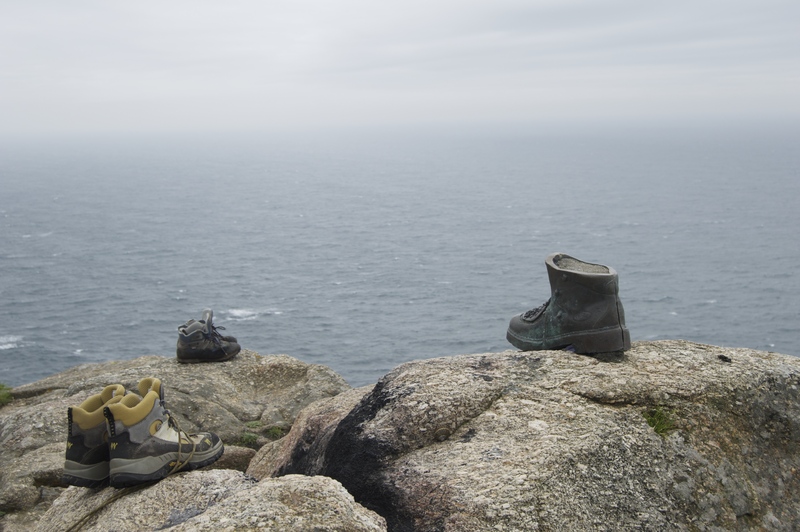 Most think the Camino finishes in Santiago, however, many pilgrims used to walk to the most westerly point of Spain – Finisterre. Pilgrims would walk through the pine covered mountains, alongside the Atlantic sea, resting at Ezaro Waterfall, where the River Xallas enters the sea as a waterfall. 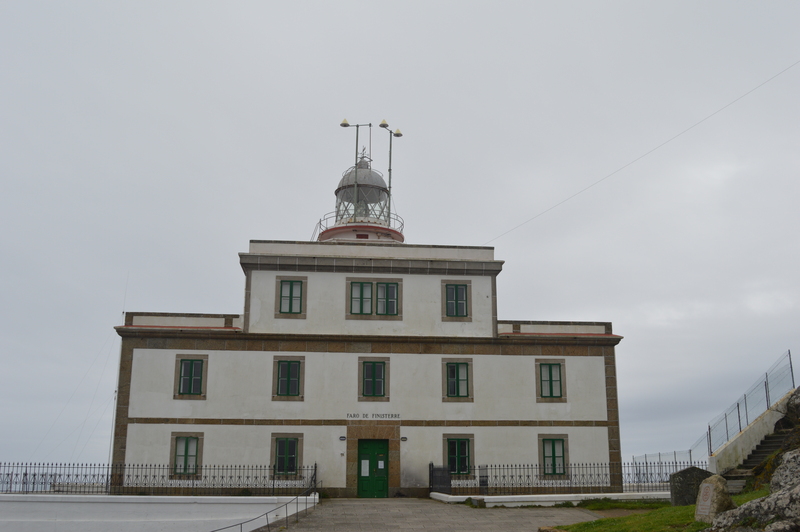 As our bus climbed the hill up to Finisterre lighthouse, where pilgrims ended their pilgrimage, I admire their devotion. Here, they burnt their clothes returning to life absolved of their sins. Today, the route has cafes and restaurants, B&B’s and hotels where you can rest and start each day afresh, but these luxuries did not exist centuries ago and I wonder how many never returned from their pilgrimage. 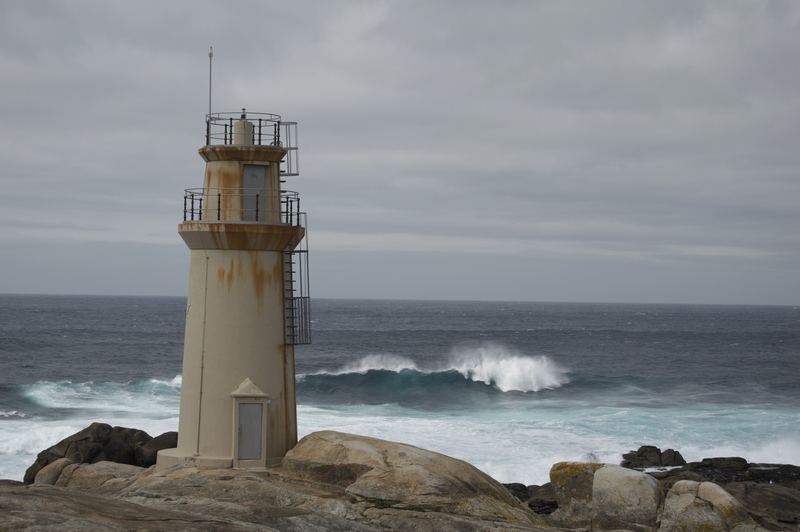 Finisterre is where the pilgrims looked out across the sea, knowing their pilgrimage was complete. However, we press on to a small town called Muxia, passing a beautiful 7kms stretch of white sand – Carnota beach. Here, we spend an hour sitting on rocks, mesmerised by the crashing waves and endless stretch of ocean. The sun peeped out for the first time and I decided it was here I would like to end my pilgrimage, at what feels like the edge of the world. Cosy, family run agriturismo with a wonderful restaurant and rooms. Beautifully restored monastery, the hotel manages to blend the old and the new. Spacious rooms, some overlooking a pretty cloister, swimming pool and perfect city centre location. CaminoWays.com – An Irish company that specialises in the Camino Way. They will organise your trip – booking accommodation, arranging daily transfers for your bags and providing you with maps of your route and all information you will require. In my opinion, the only way to do it! Contemporary restaurant serving traditional food with a creative twist. Fun atmosphere, excellent food and rooms to fall into after the 5 course meal! My favourite restaurant we dined at. Serving delectable tapas, fresh local food with a modern twist. A traditional restaurant serving traditional dishes, including pigs trotters which seemed a popular choice during our visit! Excellent food, served on sharing platters which made it a great place for a group.